The west coast commercial real estate is at full boon and the competition is fierce. Making sure corporate decision makers can see clear differences between global real estate brands is an effective way to develop a clear offer or unique selling point. 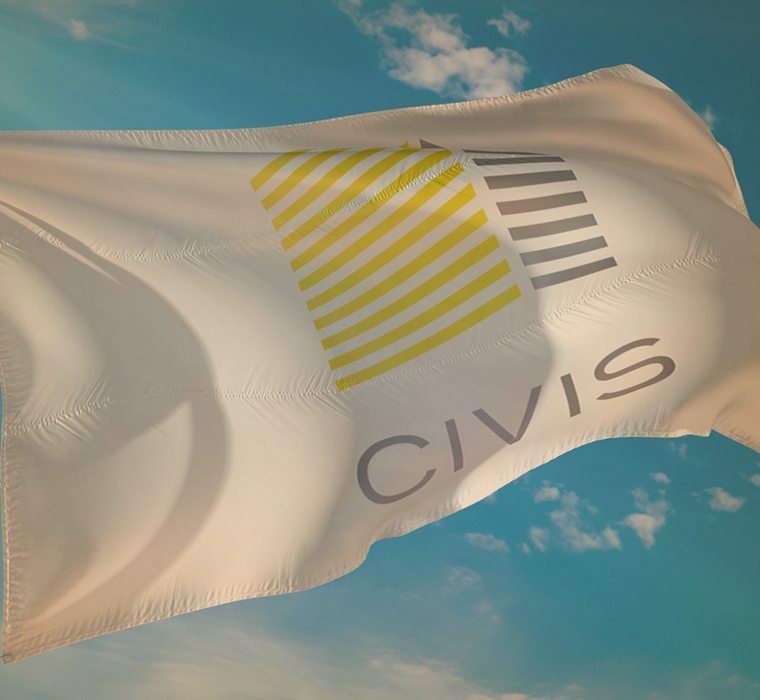 Colorola was asked to create a brand identity that would present Civis Partners as a ‘modern company with integrity, experience, and confidence; that is unique; and that approaches the business of commercial real estate with civic responsibility,’ as well as a solicitous client relationship. We created a brand system that efficiently and persuasively negotiated all visual vectors, from online presence to a well-crafted printed collateral. We persistently referred all design strategies to a strict set of brand traits: confidence and intelligence; professional thought leaders; trustworthy; straightforward. 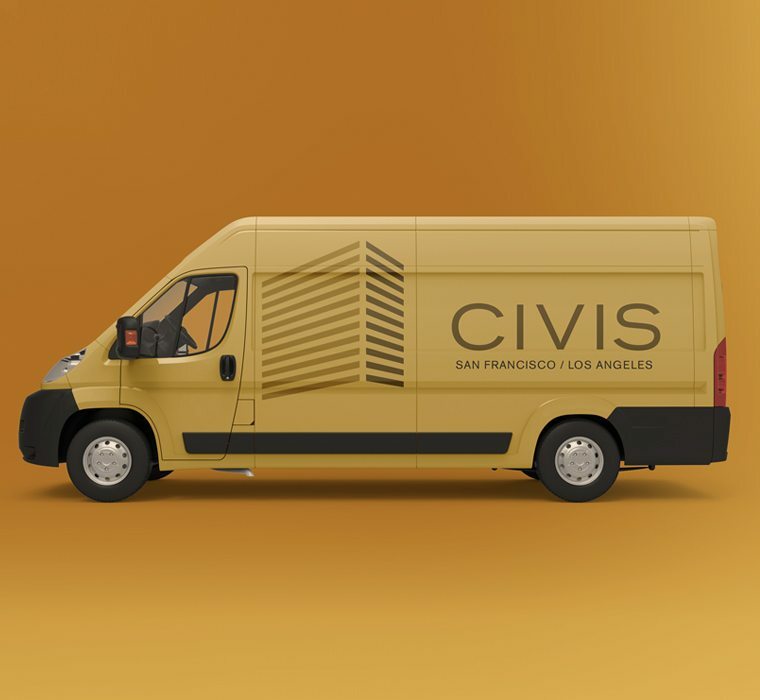 For the Civis corporate ID, we crafted a visual trope that corresponds to the highrise domain of the San Francisco and Los Angeles commercial markets. 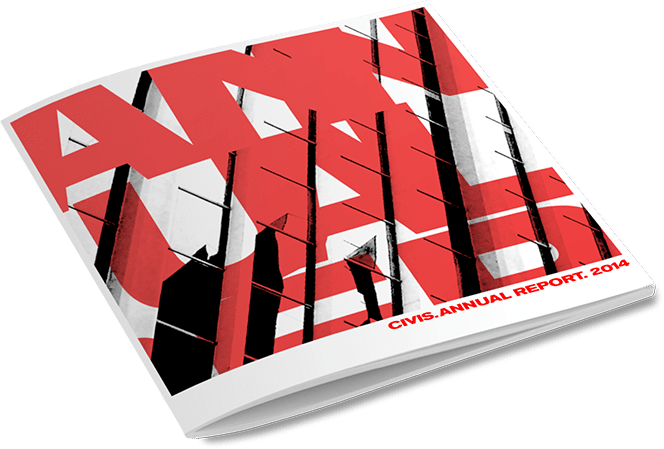 The upwardly slanted chevron of the concentric lines also refer to the skilled individuals that make up the Civis team— the pronounced lines exuding confidence and efficiency. The clean, abstract tower shape is then combined with a modern, no-nonsense logotype, creating a uniform brand device that is both utilitarian and genial (emotional meets functional). 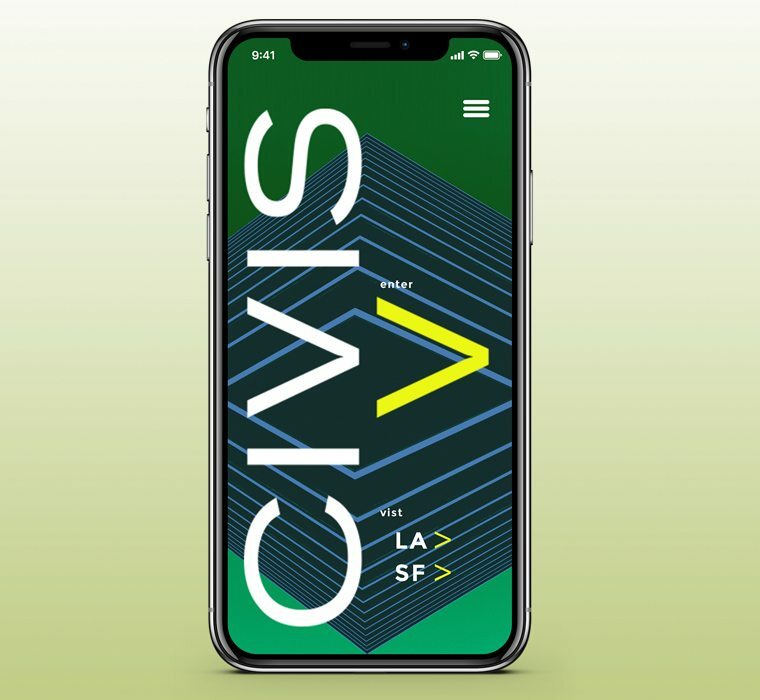 Dynamic yet classic layout– With our initial schematics for the Civis signature, we explored a variety of iconic interpretations of the objectives stated in the core brief: Evoke a unique, bold, professional, commercial real estate entity. Timeless, emblematic tone and voice– The central aim is to convey quality, civic bond, and a ‘no-nonsense dedication to producing results for clients and the community’. The parters were adamant that the identity should be iconic and effectively function with or with text. 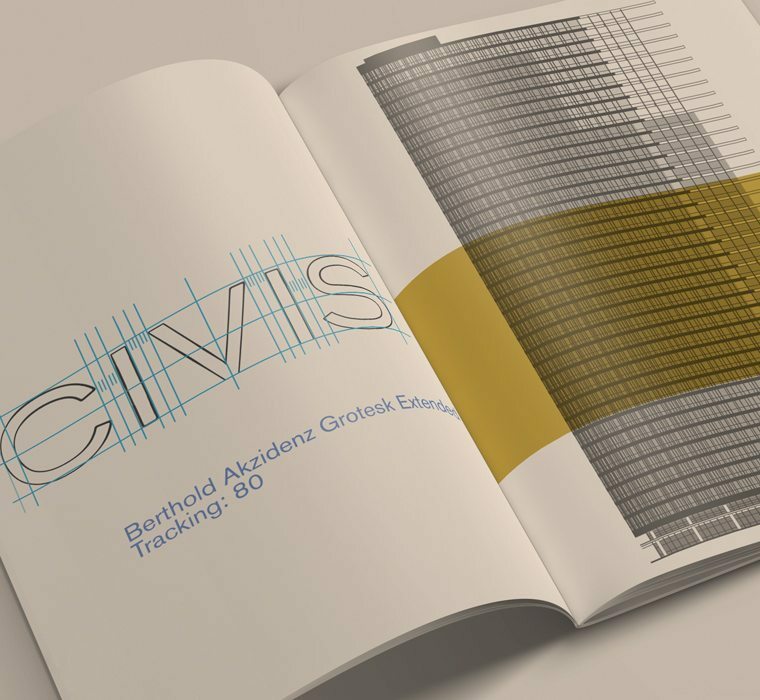 Architectural– The client considered the brand identity, in addition to the team’s quality, as the most important differential asset for Civis. Anticipating placement on some of the west coast’s most impressive properties, striking application as signage was considered vital. From development sites to transportation, the ability to perfectly adapt to different environments is vital for such a prominent brand mark. We developed a meticulous application guideline that proved applicable to every environment.